Greetings to you and happy Saturday! 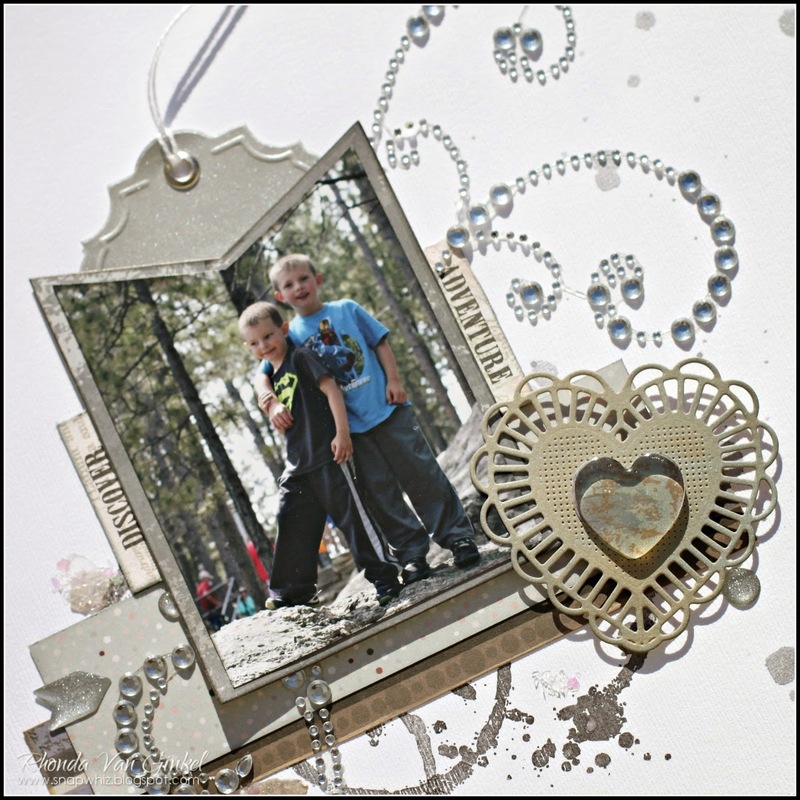 It's Rhonda here today to host the blog for you and share a project. Today I have used the gray papers from our Alton and Antique Garden collections along with some chipboard from the Baggage Claim collection. I started by using Midnight Confessions and stamping it using a coffee ring stamp, then a splatter stamp. The top trim was done using triangle strips that I layered together. Next, I cut the banner, then matted my photo to it. 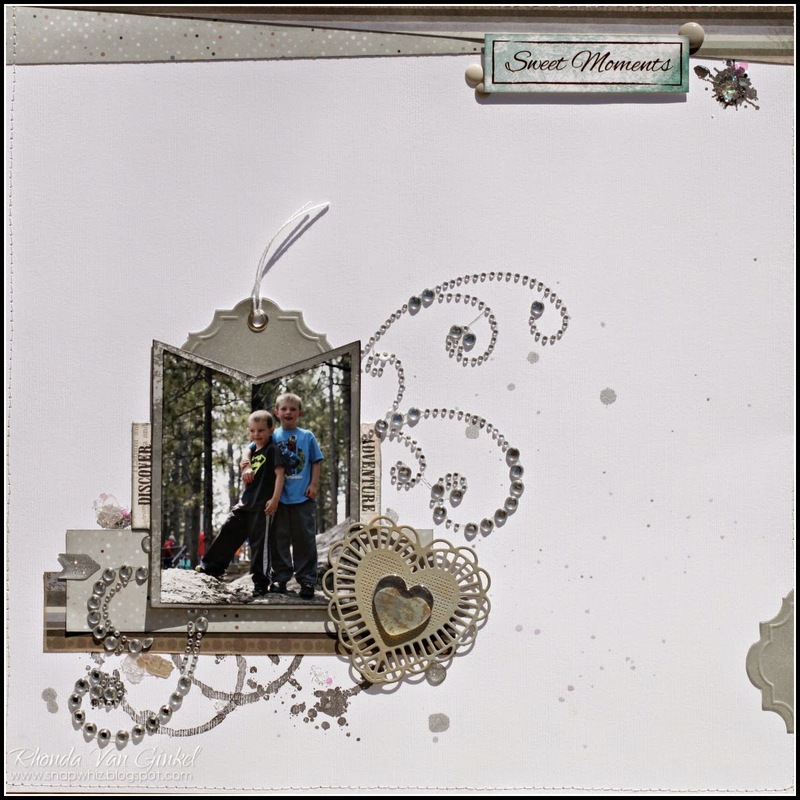 I had a kraft heart that I added, then inked with Coal Miner to coordinate with my page. I also used my PowderPuff Chalk Inks on my craft mat, spritzed some water and then splattered onto my page. This was a free style page that just came together so easily by mixing and matching the lines. I love how the PowderPuff Chalk Inks add so much to a project! This is so pretty Rhonda!